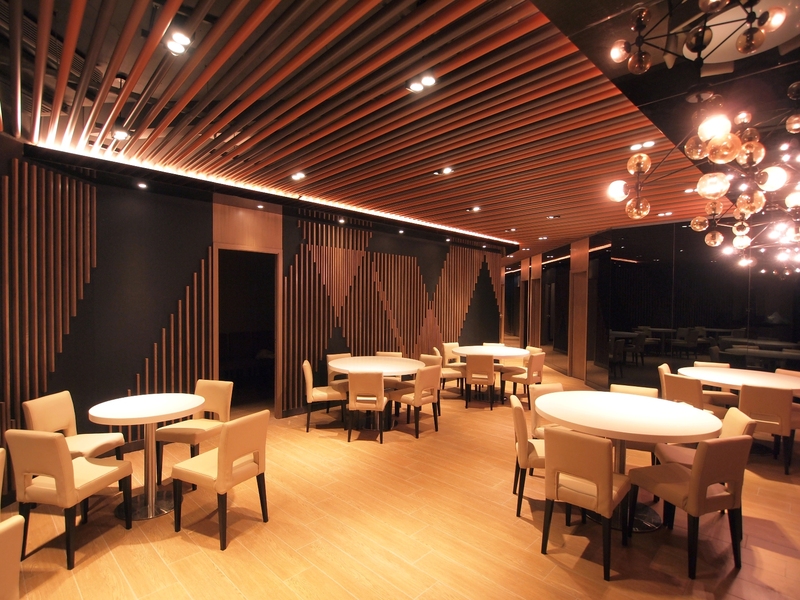 It was a pleasant experience to design this bistro in mainland China. 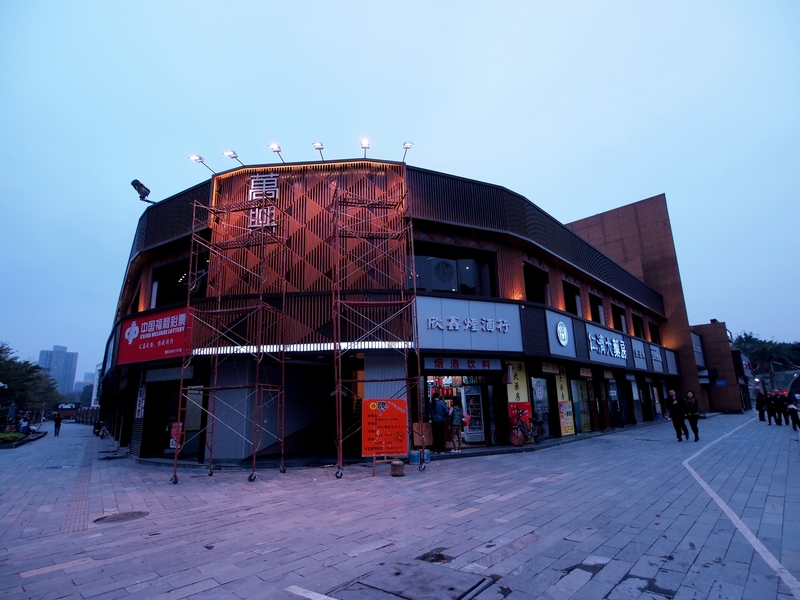 The restaurant is in Nan Shan, about 6600 square feet. Next to a swimming pool and targets the families to hang out in the restaurant. 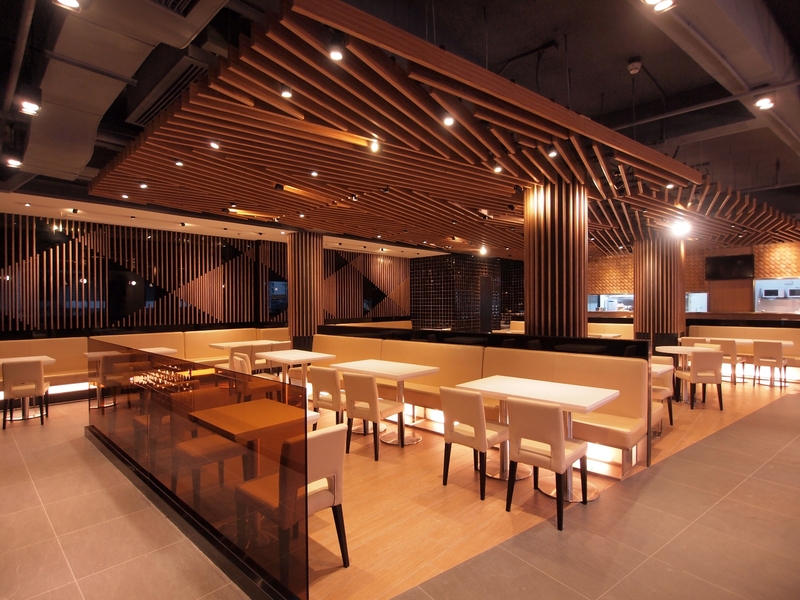 The client came to me after they had already completed the first Man Hing Bistro in Dongmen. They expected better solution and a full concept that give an identity to the restaurant group. Developing the lines/triangle patterns, using different lighting effects in the dining areas and an angular plane wrapped along the staircase and transform to a reception/cashier counter, the identity of Man Hing is created.